Do you want to turn on your leadership presence? Do you want to infuse more confidence, power and authority into your business interactions? Executive Impressions is hosting a 20 day e-mail challenge to help you turn on your leadership presence. If you want to communicate with more strength and authority, master power body language, and show more poise and decisiveness in your business interactions, this 20 day e-mail challenge is for you. What is the Leadership Presence 20 Day Challenge? Leadership Presence 20 Day Challenge is an e-mail course that runs from July 3rd to July 28th, 2016. For 20 days (Sunday to Thursday), you will receive one daily e-mail from Executive Impressions that will include one tip, or actionable strategy so you can boost your leadership presence. In every e-mail, you will be encouraged to put into action that tip or strategy. You will have the next 24 hours to implement this tip or strategy into your life. It’s a simple, easy-to-implement yet effective way to learn leadership skills. When does the Leadership Presence 20 day Challenge run? The Leadership Presence 20 Day Challenge runs from July 3rd to July 28th, 2016. Do you want to exude more power and authority at work? Enter this challenge and learn these skills in 2016. What will you learn the Leadership Presence 20 day Challenge? This challenge is designed to be intense. At the end of the 20 days, you will have a large array of knowledge, skills, and abilities to know how to turn on your leadership presence when you need to. Who is the Leadership Presence 20 day Challenge for? The Leadership Presence 20 Day Challenge is for all business people (men and women) who want to develop a magnetic and powerful presence in business. – An experienced professional who wants to use leadership presence to be heard in business meetings, get a promotion or secure a new job. – An entrepreneur who wants to use leadership presence to attract more clients or more lucrative clients. Seats for this 20 day challenge will close on July 1st, 2016. Hurry to secure your spot now! 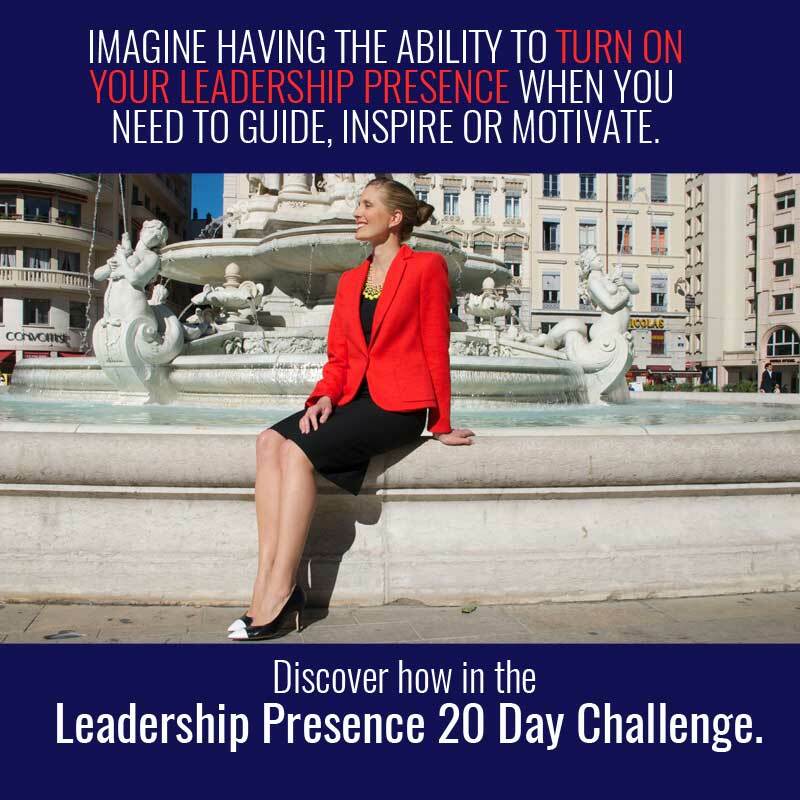 In the Leadership Presence 20 Day Challenge, you will learn elite, valuable, actionable tips that are drawn straight from my in-demand workshop, Leadership Presence Half-Day Master Class. How to enroll in this challenge. Click on the button below to complete your payment. Once you have completed your payment, you will be enrolled in this e-mail course. On July 3rd, 2016, the Leadership Presence 20 Day Challenge starts. On this day, you will receive your first e-mail for the Leadership Presence 20 Day Challenge. This 20 day challenge will run from July 3rd to July 28th, 2016. The Leadership Presence 20 Day Challenge is a small investment of $9.97 into your professional future. The advice you will get in this challenge is elite, valuable and actionable advice that would normally cost you hundreds if you were to train one-on-one with Executive Impressions. For $9.97, the price of a large pizza, you can learn the skills to develop and boost your leadership presence. Get ready to put the tips, actionable strategies and practical advice into action! Get ready to see the change in the way you interact with others and the way others interact with you. Get ready to see your life and business change. If you have any questions about this program that were not answered on this page, please feel free to e-mail me at contact@executive-impressions.com. Hi. 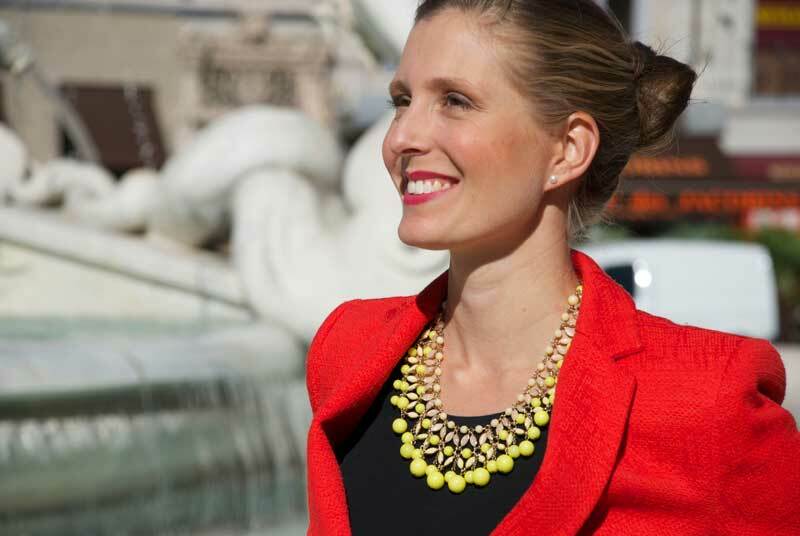 I’m Kara Ronin and I’m the founder of Executive Impressions. In the Leadership Presence 20 Day Challenge E-mail Course, I want to teach you how to infuse more power, confidence and authority into your business interactions. I have been ranked as one of the Top 100 Leadership Experts to Follow on Twitter every month since May 2015. I have worked with people all around the world and my advice has been featured in major publications such as Time Inc., Business Insider India, and Addicted to Success. I created this e-mail course so you can get access to leadership advice in a simple, applicable, and fast way. As an entrepreneur, this is the advice that consistently works for me. It’s also the advice I wish I had when I was starting out in the business world. Read more about my background.